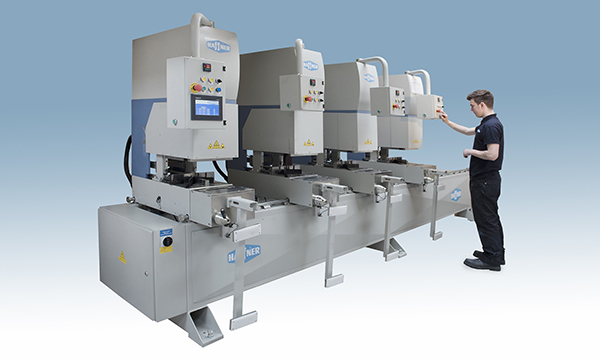 Picture above: Outstanding cutting accuracy combined with a user-friendly separation process for laminated safety glass. 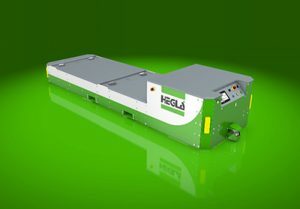 For demonstration purposes, HEGLA will be showing the model cutting machine RapidLam, equipped with the company’s patented laser film cutting technology. The new Automated Guided Vehicles perform various tasks independently, with automated guiding and in tune with production cycles, for instance transporting storage racks between the cutting and the individual processing stations. 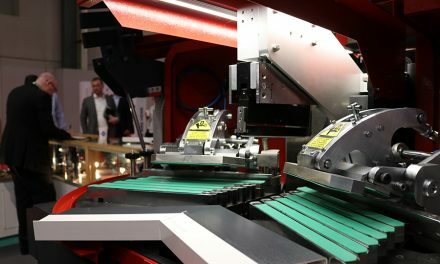 Working in conjunction with a control system, the AGVs excel through their great flexibility in adapting to changing processing priorities or machine availabilities. The HEGLA Group, HEGLA-HANIC and HEGLA boraident will all be exhibiting together jointly at glasstec trade fair in Düsseldorf. Visitors to Stand A56 in Hall 14, will be able to discover new technology including a new high-performance cutting system for laminated safety glass, an Autonomous Guided Vehicle system (AGV) for mobile storage racks as well as the latest developments for Industry 4.0. 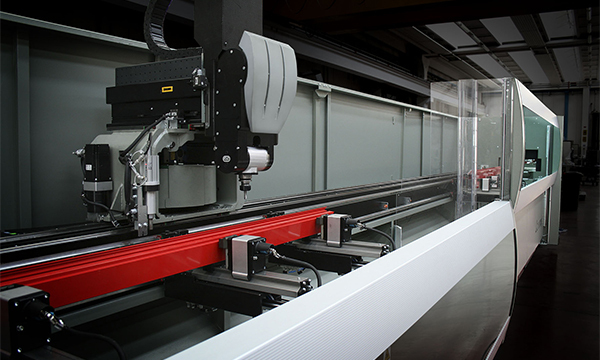 Laser film separation for laminated safety glass, as well as the laserbird for glass finishing will also be highlights as focus on faster, optimised solutions becomes increasingly important. “After many years of ever more demanding production cycle requirements and rapidly increasing competition in the glass sector, we thought it was time to take stock and look for fundamentally new approaches,” says HEGLA COO Bernhard Hötger. HEGLA’s evolution over the last two years, has seen very positive results with products such as the new high-performance StreamLam being introduced for laminated safety glass production. A special section of the stand will be dedicated to Industry 4.0, with the HEGLA team providing insights into the company’s goals and its future vision. An intuitive operating concept will be on display via the RAPIDLINE which will demonstrate improved, more user friendly communication between man and machine. 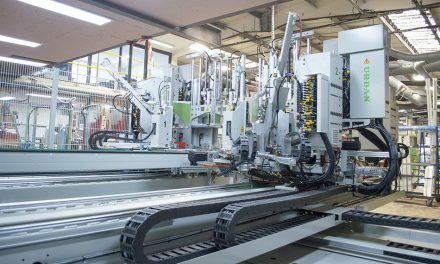 The vision of a Smart Factory and a new generation of shop floor logistics is at the centre of the scenario involving so-called Automated Guided Vehicles (AGV) – a transport solution for mobile storage racks, A and L-frames. 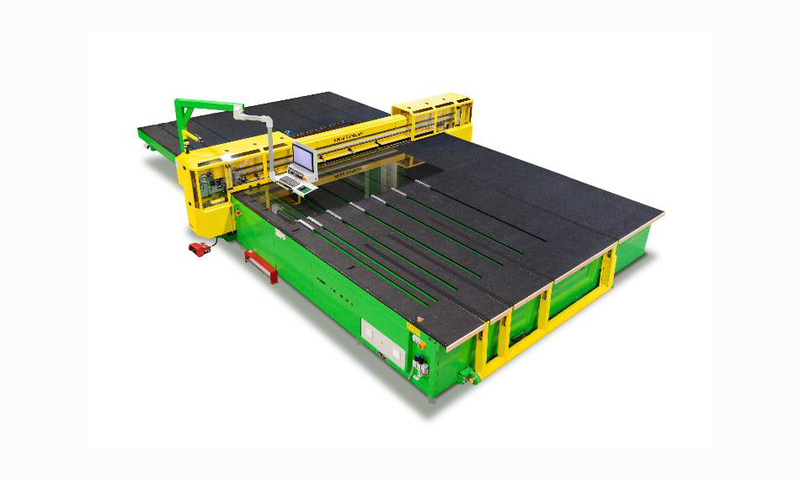 AGVs are integrated into the production software and will perform logistical tasks, between the cutting lines and the downstream processing for example giving high flexibility on the production line. LamiPress for manufacturing certified laminated safety glass to customer specifica-tion in short production cycles, combining, for instance, float glass, toughened glass, tempered glass, thin glass, structured or special-purpose glass and diverse interlayers (PCB, SentryGlas®, EVA, TPU). Manufactured according to customer specifications. With short cycle times from just 40 minutes, this innovative system solution can process a variety of glass types including float, toughened, tempered and thin glass as well as special purpose glass. 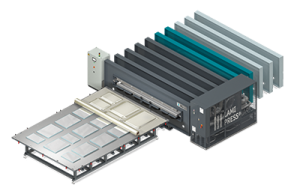 The LamiPress provides flexible options for special lamination processes, with different glass types, interlayering and various laminate thickness that can all be combined together in a batch. For the first time, the HEGLA exhibition space will include exhibits from HEGLA boraident. The laser experts will demonstrate the enhanced laserbird which can apply coatings to produce smart glass with features such as better mobile radio wave permeability and active bird protection. 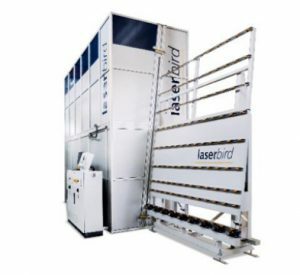 laserbird for glass finishing – with laser assistance, this machine can add coatings to produce smart glass, for instance for active bird protection or to achieve signifi-cantly better mobile radio wave permeability. This machine is also able to add decorative features to glass, using the non-destructive laser printing process among others. The laserbird’s strengths include the non-destructive removal of coatings at the edge, which satisfies even the high demands of structural glazing, which can also be used to produce decorative effects as well as bespoke solutions for individual customer requirements.